Ummm so if you haven't figured out the pun on this one it's my FAVORITE movie ever, Labyrinth. If you have never seen it, please, stop everything now and put it on. You cannot leave this planet without having watched it. 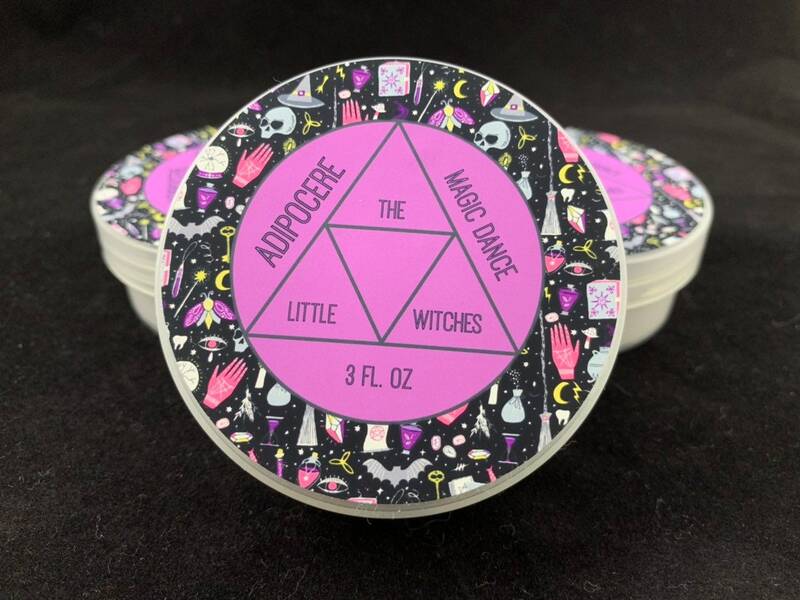 I named this Adipocere after Dance Magic the song because in truth this scent has a magical witchy quality to it that deserves a fitting and magickal name. The top two notes are this amazing woodsy scent with soft lavender. The scent description is a bit more in-depth and I love it. It's described as deep and sophisticated blends of rustic Amber with bold Parisian Lavender (which is what I smell too!). This is combined with a mysterious Black Myrrh, dulcet vanilla Tonka bean, and a splash of Egyptian Musk. The fragrance is rounded out with a surprising addition of raw Clary Sage resulting in an earthy concoction with hints of sweetness and pleasing floral notes. 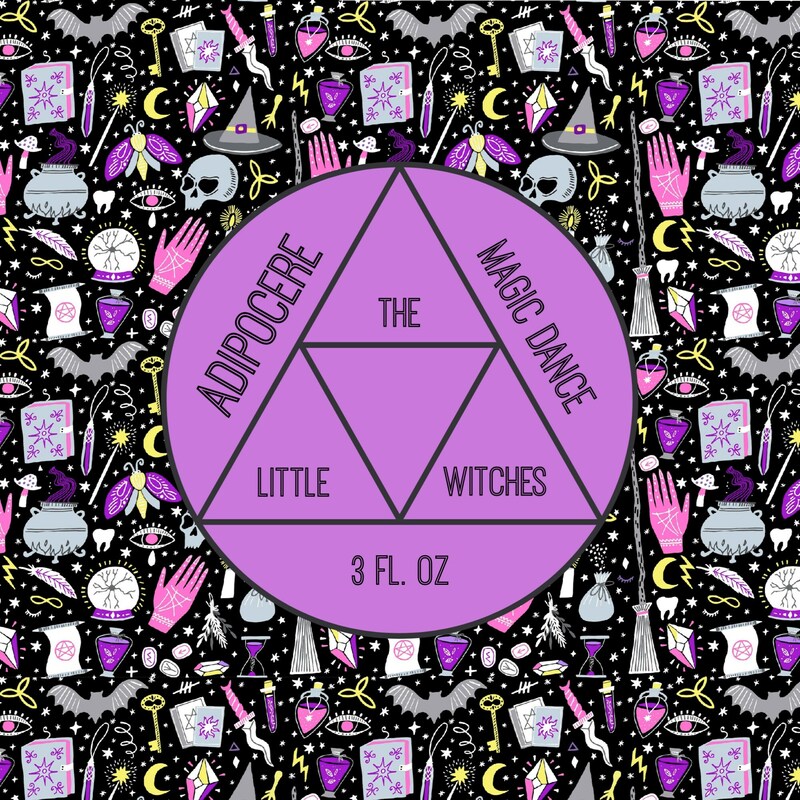 Ok so just what the heck is Adipocere? Well, it is also referred to as corpse wax, grave wax or mortuary wax and is a wax-like organic substance formed by the anaerobic bacterial hydrolysis of fat in tissue, such as body fat in corpses. It has a dense, fluffy texture that makes it irresistible and is chock full of skin-loving shea butter and cocoa butter. 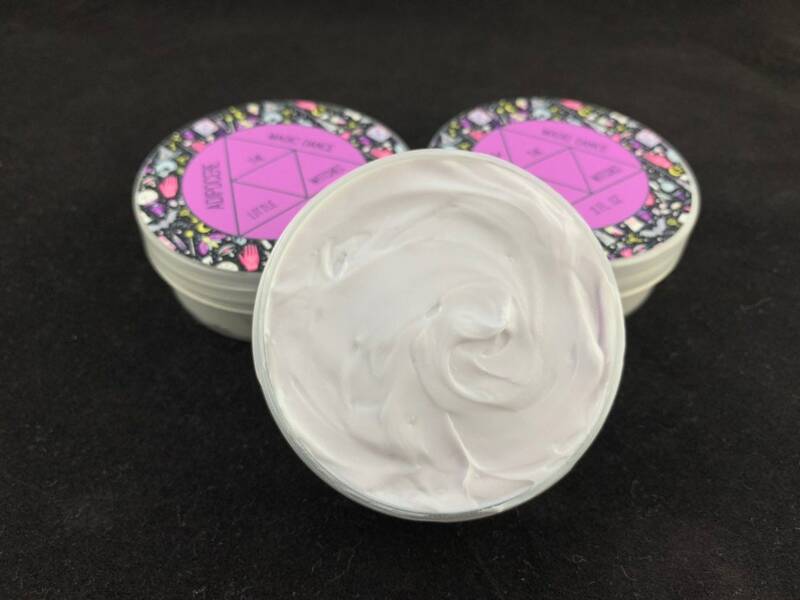 It glides on smoothly and also contains Safflower Oil, Certified Kosher Glycerin, Vitamins A, C and E and a botanical extract blend of Chamomile, Aloe, and Lavender. Not only is it bursting with quality ingredients, its Paraben free! 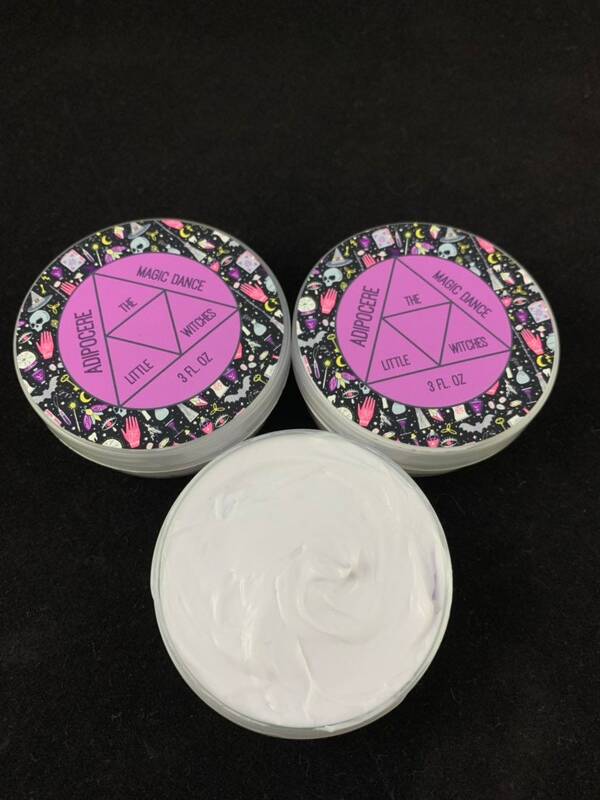 The smooth consistency of this body butter will provide you with a moisture indulgent feeling that will last! The color is a soft lavender and although you cannot see it, there is a light snowflake mica along with fine irridescent glitter. It will give the faintest shimmer but nothing that is too 2001 overbearing if you know what I mean! This smells so good! I love it! I literally need this scent in a bodywash, perfume and every other body product imaginable, because it is fantastic! I stocked up when I saw this was available again. Lovely texture-smooth and leaves skin soft with a hint of fragrance.